Celebrate your love of all things Disney with this adorable Beauty and The Beast charm, showing a silhouette of Belle and the Beast and a message to remind you to always follow your heart. 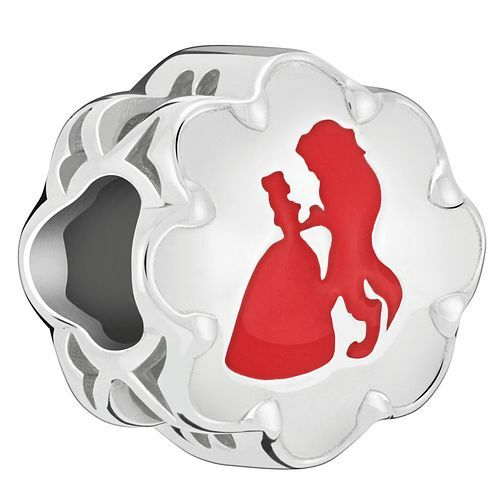 Chamilia Disney Beauty and the Beast Follow Your Heart Charm is rated 5.0 out of 5 by 1. Rated 5 out of 5 by Anonymous from Great quality charm I bought the Beauty and the Beast charm for my Daughter recently and she was absolutely delighted with it. Great quality charm and love the wording on the reverse. It was also delivered by courier promptly the next day after ordering. This charm is a perfect gift (or present to yourself) and definitely a must for any Beauty and the Beast fan.